The step was taken to curb the black marketing of its booking forms which were not accessible to a large number of potential applicants. 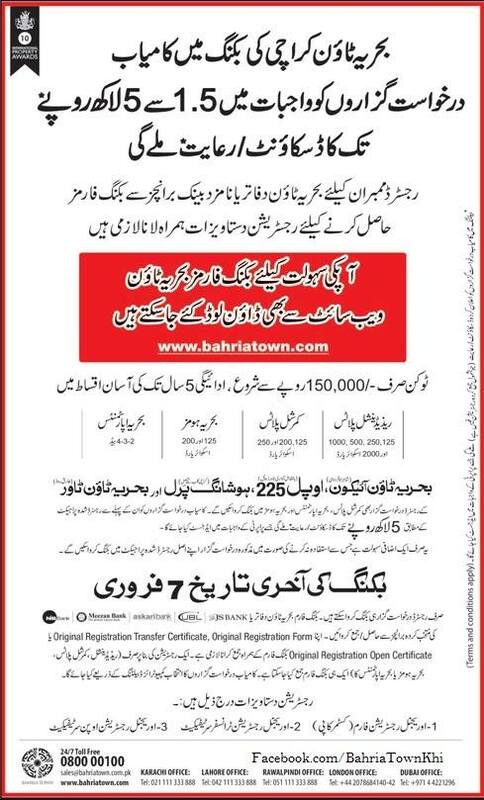 Since large number of people were swarming in Bahria Town Head Offices for these forms, which affected other day to day dealings in Bahria Town Offices, Bahria Town thought it convenient to make it available on Internet for everyone to download and the 1000/- Fee should be paid when application will be submitted. You can simply download the required bahria town karachi booking forms from below, print out, fill it out with required details, and submit with Rs. 1000/- application fees.